Makes a cloudy day sunny. Just as I think of you. Asheville, North Carolina, July 1995: this was Santer’s first real opportunity to present the new attribution findings that are our Mirror in the Sky. Not long after the deadline for reviewer comments on the chapters, this conference of 70-odd Working Group 1 chapter authors convened in Asheville to revise the Summary for Policymakers. As if a rehearsal for Madrid later in the year, the attribution question all but hijacked proceedings. The pronounced warming trend above the south latitudes depicted in Santer 1995b (i.e., our ‘Mirror in the Sky’), and given as distinctive of the human signal, is in fact the result of a careful selection of the time-range of data used (1963-88) [visual explanation here]. This is according to a letter to Nature [12Dec96] by Michaels and Knappenberger in response to Santer’s paper appearing there with much fanfare on the 4th of July. Such a strange claim to find in the scientific literature, this is perhaps an indication of the shrill state of the controversy at the time, for there is no doubt about three things in the published Chapter 8 of the Second Assessment. Firstly, it is mostly upon the CO2+Sulphate fingerprint studies that positive attribution is established. The importance of these findings is heralded in the opening paragraphs of the chapter and in the ‘discernible human influence’ section of the Summary for Policymakers. Secondly, of the four CO2+Sulphate ‘fingerprint’ studies discussed in Chapter 8, none had been published by the Asheville conference. And thirdly, the two studies by Santer et al (cited as 1995a & 1995b) that were still not published by Madrid are yet paraded most prominently as providing the strongest evidence for this attribution. The protests by Schneider, Santerand others against this view are hardly credible. To be precise, the charge is not that ‘Chapter 8 is mainly based on’ Santer’s two papers, as Santer sometimes claims [pdf]. The Chapter assesses a lot more than the CO2+Suphate pattern studies! Rather, it is that the (weak) attribution conclusion—the suggested discernible human influence—is mainly based on them. Indeed, other studies are cited in support of the attribution claims. But, that the Santer et al papers provide the leading evidence, this is not just in the text (of 8.4.2), it is also in the charts (figure 8.7, 8.9 & 8.10). And so, after the papers were finally published, it is no wonder (but undoubtedly a little bit freaky) that the vultures were seen above and circling. Those infamous Merchants of Doubt, Singer and Michaels, came scratching around asking for source data, and in the end they did pick their pound of flesh from both papers…dubious data, cherry picking, misleading presentation…the usual. But these papers were more than about the evidence. Santer’s work provided the narrative imagery that fed the aspirations of Working Group 1. And this provides one explanation for why overwhelming ‘peer’ approval was won at Working Group 1 plenary sessions for what is now widely regarded as such flimsy evidence—the flaws of which were known to the authors and elaborated in the drafts. Like a safe refuge appearing out of a rowdy storm, this is the story of the real human signal finally emerging from the noise of climate variability. Not that anyone would freeze to death if this were just another wilful illusion, but it did nearly ruin Santer. Two versions of a pattern correlation chart as it appears in the cited paper Santer 1995a and below as it appears in SAR Fig 8.10 (b) p433. After publication, Fred Singer would criticise the removal of all but one trend line in the version of the chart published in SAR [Singer: revisited here, 2011]. Legates and Davis (1997) critique the statistical methodology. Let’s briefly consider this chart at right. It gives an analysis of surface temperature change as correlated with model expectations. The two versions are, above, as it appears in the cited paper (Santer 1995a) and, below, as it appears in the Second Assessment. In the end it didn’t matter that this was only autumn data. It didn’t matter that the pattern of solar or volcanic forcing was not considered. It didn’t matter that the correlation trended negative down to 1940 and again in the last 20 years. Nor that the correlation values were so low. What did matter was that the only remaining trend line on the graph (for the others were removed) is pointing to a strengthening human signal emerging from the background noise. The signal emerges in the science, detected for the first time due to the advancement of science, and becoming increasingly evident in the very latest (unpublished) research. The signal emerges stronger and stronger over time so as to vindicate the urgency of mitigation. Moreover, the signal emerges from the Little Cooling, which is right where Hansen had said it had emerged back in that time and in that rationale in which this very IPCC institution was founded. In other words, this image offers just what the First Assessment refused, for here is a representation of the very self-realisation of Working Group 1. Detection. Attribution. Mission accomplished. Barnett et al, Holocene, 1996 [pdf], cites Santer 1995a and SAR Chapter 8 (insert) in its criticism of the use of pattern studies to deliver attribution conclusions. Alas, this realisation was illusory. A madness of the crowd, a wilful belief, call it what you will, but it is quite easy to establish that the lead authors of Chapter 8 were aware that these pattern studies were defective, that they could provide no solid ground for any attribution conclusion, and to fancy them as though the ‘fingerprint’ of man is entirely misleading. In Asheville, in Madrid, in some part of their brains they knew that this new evidence was just as flawed as the old. The post-publication debate with the sceptics was taking place on a platform that had already collapsed under their feet. The nitpicking of the Doubters was as nought to the damaging critique coming out of an unpublished investigation conducted by the Chapter 8 lead authors themselves. This investigation [pdf] is an exploration of how to properly establish the ‘yardstick’ of natural climate variability. The likes of Hansen taking the normal distribution from 30 years of the instrumental record on one dubiously constructed variable, this would not do. Instead, they set out to explore how to establish the variability in the longer centurial and millennial timeframes necessary to give some perspective on the multi-decadal warming trend in question, and to establish the pattern of this warming as a background to the pattern studies now being employed to solve the D&A question. Circulating under the title ‘Estimates of low frequency natural variability in near-surface air temperature,’ the account of this investigation is an extraordinary tale of how every toehold collapses into dust. When they investigated the models they found that models tend to vary widely in their estimates of climate variability on longer time scales, and they tend to under-estimate this variability. This latter is perhaps understandable because the models ‘do not incorporate changes in solar output or changes in volcanically induced aerosol inputs to the atmosphere.’ That they do not incorporate other external forces is a problem for detection studies because it is ‘likely to inflate the statistical significance of typical detection metrics by under-representing the air-temperature variance that one should expect in nature.’ The models also tell us very little about the natural spatial patterns of climate variability and what they do tell varies widely. ‘This result is particularly worrying’, says the paper, ‘since most modern sophisticated detection methods try to find predicted spatial patterns of change’—and here referring directly to key pattern studies used in the Second Assessment. All these facts make it difficult to say if observed spatial changes in climate are ‘normal’ or due to anthropogenic effects. One or both of these model flaws [in spatial distribution and understated variability] might bias the results of an objective detection study and lead us to believe confidently that an anthropogenic signal has been found when, in fact, that may not be the case. Our results should serve as a warning to those anxious rigorously to pursue the detection of anthropogenic effects in observed climate data. The spectrum of natural variability against which detection claims, positive or negative, are made is not well-known and apparently not well represented in early CGCM [model] control runs. Furthermore, the large differences between the internally-generated noise estimates from different CGCMs translate into large uncertainties in estimates of detection time, even for a perfectly-known time-evolving anthropogenic signal. These noise estimates are the primary yardsticks that must be used to judge the significance of observed changes. They may be flawed on the century time scales of interest for detection of a slowly-evolving anthropogenic effect on climate. The burden of proof that this is not the case lies with climate modellers, experts in the analysis of paleoclimatic data, and with the scientists engaged in detection studies. Give this investigation its due prominence and we have no yardstick. If long-range natural variability cannot be established then we are back with the critique of Callendar in 1938, and we are no better than with Wigley in 1990. Moreover, the rationale of the climate treaty is again lost. Push this investigation aside and room is made for attribution claims like the one inserted at the end of the pattern-based studies section [8.4.2] which finds ‘a non-negligible human effect on global climate.’ This is established on the ‘fact’ that all four CO2+Sulphate pattern studies ‘have been able to discern sub-global-scale features of a combined CO2 + aerosol signal relative to the ambient noise of natural internal variability‘ [SAR 434b]. Whatsoever the caveats, the yardstick is returned to prop this attribution claim. With no new evidence introduced since the final draft, with the uncertainty statement shifted from the detection of a signal to its magnitude, we now have a discernible human influence pushed over the line and ready for its journey up through the Summary, the Synopsis, and onward to the treaty talks [see a following post]. It might surprise the reader to discover that the authors of this troublesome paper include Ben Santer. Moreover, with the criticism of the use of proxy data in determining natural variability, it might also surprise readers that some renowned paleoclimatologists—Bradley, Jones, and Briffa—are also authors. As for the lead author of the paper, he is less familiar to sceptics, and yet it would be hard to find anyone more eminent and respected in D&A research at the time than Tim Barnett. 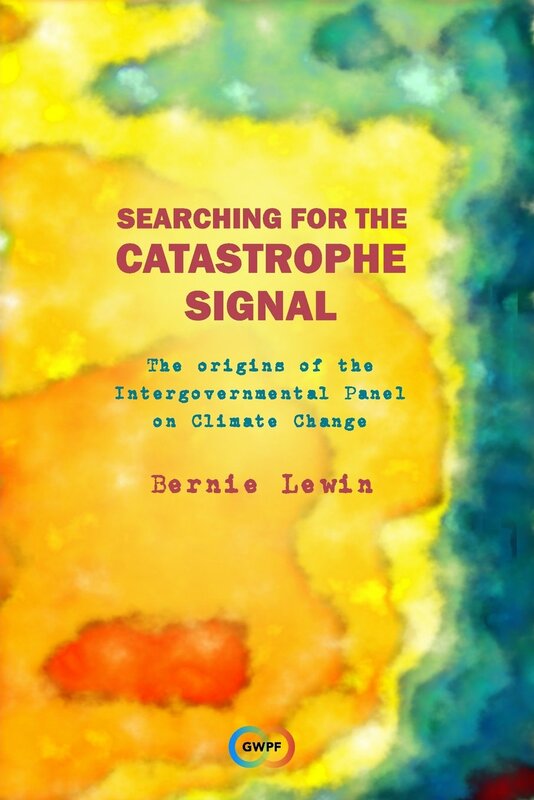 Barnett is also listed as a lead author on both Chapter 8s, where he is acknowledged as a pioneer of global warming pattern analysis [FAR p247b, SAR p425a]. However, Barnett is not one for controversy, and he has not the time, nor the temper, for diplomatic circuses like Madrid, avoiding even author conferences like Asheville. He left that side of things to Wigley, and then Wigley and Santer the second time around. In the mean time he would go on to co-ordinate what became known as the International Detection and Attribution Group (IDAG). Mainly from the USA and the UK, but also from the Max Planck Institute in Germany, this group included many of the leaders of the pattern studies movement in the early 1990s and other contributing authors of Chapter 8 (Hasselmann, Hegerl, Rasmusson, Santer and also Delworth, Jones and Tett). Their first major paper after involvement in the Second Assessment was a review of D&A research published in 1999. ‘Detection and Attribution of Recent Climate Change: A Status Report‘ [pdf] reads something like a solid and considered scholarly rejoinder to the hastily (re-)constructed and politically charged (published version of) Chapter 8. It comes to the same conclusion about pattern studies as the earlier Barnett et al paper (and as incorporated into the drafts of Chapter 8), suggesting that the best way forward in the determination of natural climate variability is in the advancement of model simulations. Perhaps they have had quite enough of two IPCC assessments dismissive of tree-ring data…and now another thrashing in IDAG’s pompously titled review. Yet they need not worry about IDAG. As the life slowly drained out of pattern studies, their father and killer, Tim Barnett would encourage IDAG out of this cul-de-sac and towards the finer tuning of simulations. Moreover, as we now well know, the time had come for the paleo team to have their day in the sun and carry the flame for attribution. One of the authors of the indignant reply to the IDAG Status Report was none other than their rising star, Michael Mann. Back in the winter of 1993-4, when the search was on for a co-ordinating lead author of Chapter 8, Wigley wasn’t going to do it again, so Barnett would have been an obvious choice. His collaborative talent is vindicated by his leadership of IDAG, which he coordinated until 2002. But he was never in his life going to do it.2 By the spring of 1994, after the positions for all the other chapters had been filled, Chapter 8 was still vacant and Ben Santer was encouraged to take it. It will be good for your career! That is how this talented and ambitious scientist got caught up in the chaotic politics of Madrid—like nothing else in science neither before nor since. Indeed, Santer did not conspire, and we have no reason to doubt his claim during the heat of the controversy that it was he who fought so hard in Asheville to retain the declarations of uncertainty. But in the end he did play the role of Sciences’ collective-ego captivated by its own image reflected in a pretence to political authority. At Madrid it was Santer who played Narcissus, but it was science that fell into its own image and drowned. Many people have generously assisted with research on Madrid 1995 and the Chapter 8 controversy. The author is especially grateful to the following: Dr Ben Santer for confirming facts and offering referrals; Sir John Houghton for careful responses to many question; Dr Tim Barnett for assisting with understanding the science of the controversy; Dr Mike MacCracken for providing unpublished documents and responding to many queries; Dr Vincent Grey for assisting with the search for documents; Dr Fred Singer for sending his writings on the topic; Dr John Zillman for his recollections and analysis; and Dr Aynsley Kellow for political background. 1. An explicit reference to this concern is made in the cover letter by Rafe Pomerance (7July 1995) to ‘The US comments on the IPCC WG I Second Scientific Assessment — Summary for Policy Makers,’ July 10, 1995, : “It is critical for this assessment to base its results on published and generally available information; the conclusions must be supported by reviewed literature and findings.” Also see World Climate Report Volume 1 #3 ‘Climate Policy of the “Anointed:” The Avoidance of Peer Review‘ (presumed author is Dr Pat Michaels). This entry was posted in Climate Change Science, History of Climate Science, Politics of Climate Science and tagged Chapter 8 Controversy, Dr Ben Santer, IPCC Second Assessment, IPCC Working Group 1. Bookmark the permalink. Bravo! Bernie … very nicely done. I look forward to reading your final chapter in this series. Makes one wonder, though, if perhaps Hulme’s “climate change is so plastic …” when applied to the production of IPCC narratives should be replaced by the far more malleable “plasticine”. Berniel, your two essays are masterful, and the prose has generally a lyric as well as revelatory quality to it that delights both the ear and mind. At its best, your style has genius, with memorable quotes – like your very last sentence above. But sometimes the flow lapses a little. And I would have liked to see a little background on the formation of the IPCC – why? and what about its revealing statement regarding looking for human attribution or words to that effect? You have done the world a great service in putting together this story as well and as kindly as you have done. Thank you.